Neem is a tree which renders multiple benefits to human beings. It basically belongs to the Indian sub-continent. 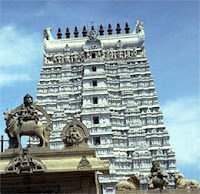 This versatile tree holds the history of being used for more than 4500 years. The ancient documentation shows that back then, most of the parts of neem, such as – leaves, seed oil, fruit etc. were used for various medicinal purposes. 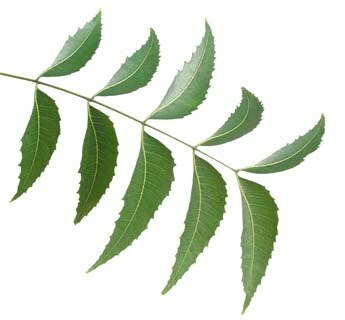 In India neem tree is fondly called as the village dispensary meaning 'a medical clinic' for a number of advantages it renders to the people. Its healing properties had been identified during the ancient period itself. Today, after years of research, trial and tests neem is popularly used as a home remedy for common skin, hair, bruises and other health related problems. Neem tree, also known as Azadirachta Indica has a plethora of benefits to offer. Right from its roots till its spawning crown, every single part of neem has one or the other medicinal benefit to offer. It so happens because the chemical constituents of this particular tree makes it a health booster. Owing to its varied soothing and effective uses, it is commonly used in the manufacturing of medicines, cosmetics and agriculture. The herbal, neem cosmetics and neem skin care products are a rage now-a-days as people are tilting more towards the mother nature and averring from the adverse chemicals. Such reasons and more of the likes makes Neem to be called as 'A Wonder Plant' . Neem tree is best known for its healing and medicinal properties and hence, it is often used in most of the herbal medicines. The fact that each and every part of neem tree including the bark, seeds, flower, leaves, fruit pulp etc. can be put to use, the herbal medicine makers treat it as the most preferred source of crude medicine among all. Neem tree or rather its various parts have the effective properties to heal various ailments like diabetes, ulcers, leprosy, constipation, skin disorders etc. Now-a-days world class scientists are researching extensively create new neem antibiotics and neem medicines to cure hazardous diseases. As more and more people are turning towards mother nature and looking for the most natural products for day to day uses, neem based cosmetics have duly made their niche in this segment. Neem based beauty aids and toiletries are a rage among people these days. Neem based shampoo, soaps, skin creams/lotions, toothpaste etc. are slowly capturing the market as a major share of consumers are preferring these over the regular chemical based products. Since neem works as an antibiotic or an anti insecticide, it is put to use in the agriculture sector as well. It is quite beneficial for the in the farming sector as neem acts as a fertilizer efficiency enhancer,neem insecticide for food storage, helps in soil amendment and is an effective foliar pesticide. Interestingly, the use of neem in agricultural sector is not just restricted to India only but in various other parts of the world as well. Neem cake, neem oil, neem leaves etc. are used for agricultural purposes. For more information on neem and neem products, please click here. Neem is a very popular herbal medicine since ancient times. The benefits of Neem are well known whether its as medicine or as beauty products. This article has explained them very beautifully.Natural products are much more beneficial then artificial. Neem leaf is an essential ingredient in many herbal remedies. There are so many diseases that has been naturally treated with neem. Neem trees also minimize mosquito activity in the near about areas. Did you know you can create short urls with AdFly and earn $$$$ for every click on your short urls.